Since childhood I was fascinated by #kaleidoscopic patterns. I don’t think we people change through our lives as much as it looks like… Still love making those using my artworks or photos. Here’s Mint and Orange Diamonds. 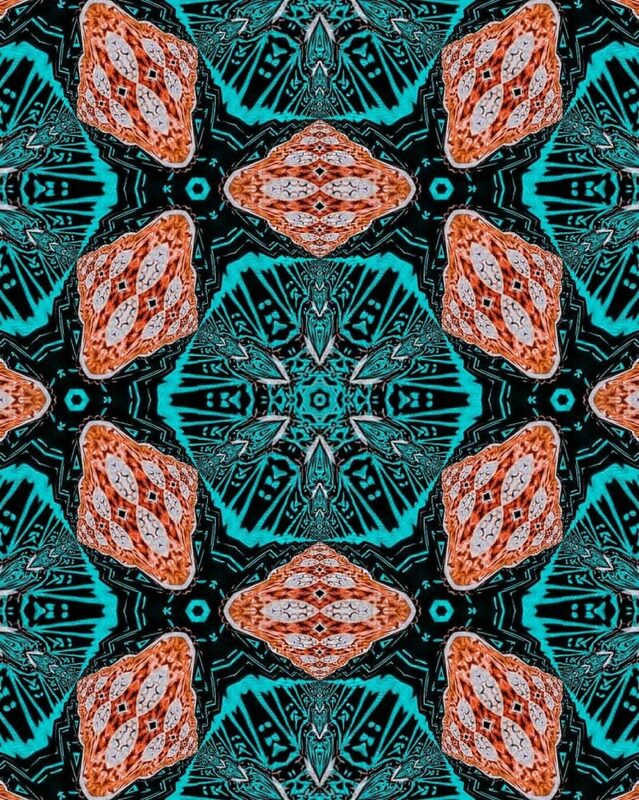 Modern or even #futuristic #fractal #geometric #pattern in #turquoise blue green, #orange and black. Tagged artprint, artprints, cgart, computationaldesign, digitalart, fabricdesign, fashionprint, fractal, Fractals, futuristic, futuristicinterior, generativeart, geometric, kaleidoscopic, linandaras_art, orange, parametric, parametricdesign, parametric_design, pattern, patterndesign, print, printdesign, printondemand, redbubble, repeatpattern, turqoiseandorange, turquoise, орнамент, орнаменты.